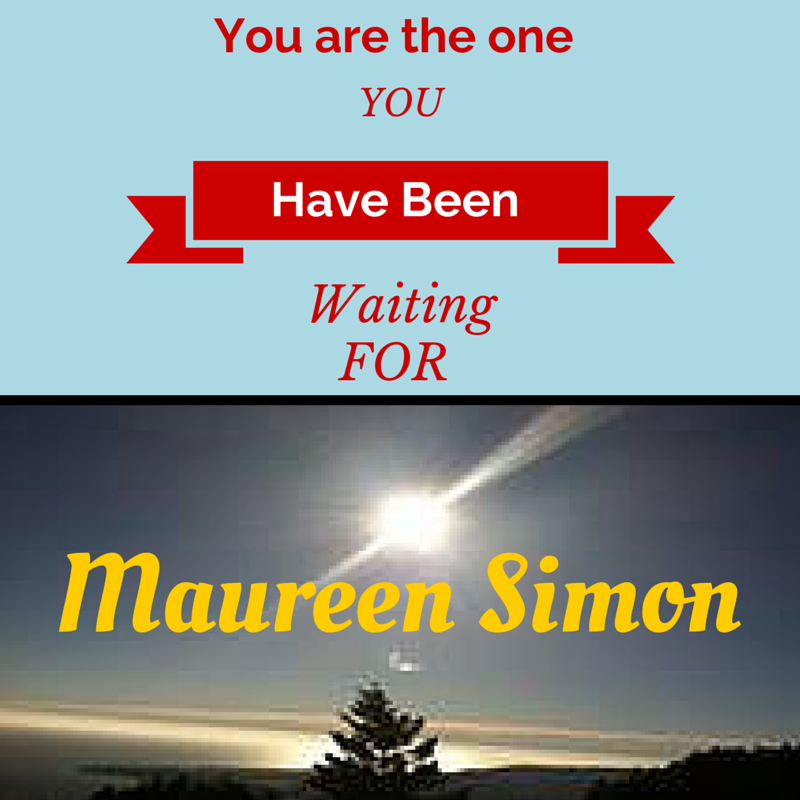 Hello girlfriends – When I listen to my inner self, I find the answers I need. They may not always be the answers I want, though. How many of us truly stay true to our own instincts? I find myself starting to doubt my instincts at times. My heart tells me one thing, and my mind goes in another direction. The majority of the time, when I don’t go with my heart, I find myself not going in the right direction. I often wonder and ask myself, “Why didn’t I follow my heart on this?” My best advice to you is follow your heart — follow your instincts. Why do we doubt our instincts? Could fear be involved here? Could it be, not trusting yourself enough to know that your heart won’t mislead you? At times, we think things through too much and we don’t give our instincts any consideration. The way to start trusting your instincts is to put them to the test. Next time your instincts tell you this is what you should be doing — follow them — DO IT! I will share a story with you — years ago, I woke up from a dream and in this dream, an ex-employer/friend is about to commit suicide. Now, I had lost contact with this person, but as I was awoken by this dream, I listened to my heart and instincts, which told me to find him. I set out that day to find this man. Long story short — I ended up calling his dad in another state and he alerted me that he has been quite concerned for his son. He graciously thanked me for reaching out. He gave me his home address, and after my all day search, I had an address now. I went to his home and when I knocked at his door — he answered and looked confused — unshaven, listless, and almost hopeless. He asked what I was doing there, and I advised him of my dream. He invited me in and he told me that he was contemplating the ending of his life. In the weeks to come, he got out of his slump by moving back to where his parents and family lived. He moved back in with his parents and in that first month, his father passed away. You see if that morning, I would have talked myself out of going to find him, I’m not quite sure what the outcome would have been. For now, I am happy I followed what I believed. Remember, may the possibilities of today excite us all! Last June the “Democracy That Delivers For Women” conference was held in Washington, D.C. In reading through some of the conference resources I came across several points well worth noting. 1. Social change requires vision and leadership..
2. Women are at the core of strengthening democratic processes and market institutions. Because of women’s innate attributes of cooperation, empathy, building connections rather than hierarchies, they are especially suited to bring about the social change that will create a new and more balanced world. To often women have undervalued their natural gifts, accepting them as normal. It is time now to cultivate these attributes and rely on them. They are what is needed in the world. As women we must take responsibility for creating our own democracy. We can be helped but without our own belief in ourselves and our natural attributes it will not happen. Democracy will be created on from the inside out. It will be based on our understanding our gifts and using them to build the best in ourselves, our communities and then in our world. Find out more about your feminine attributes at www.theessentialfeminine.com. 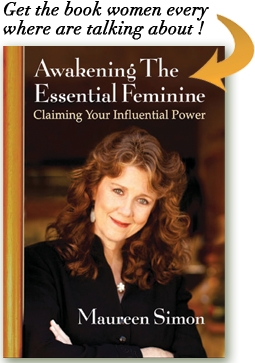 Sign up for our newsletter, read “Awakening The Essential Feminine: Claiming Your Influential Power”, sign up for a teleseminar, join us at our Complimentary Living Room sessions. The reason women come to me is because they say they have done all that they are supposed to do and are still not happy. They got an education, climbed the ladder, but they sometimes feel empty. They have ignored their spirit, inner voice and deepest desires. Here’s the problem. Women work hard. Some get top flight educations but feel empty inside. Some stay in jobs they dislike for security, ignoring their sprit and inner voice. Some lose track of their natural ways to fit into masculine business scenarios. The only way that we can reach true success is when we allow our inner quiet wisdom and knowledge to guide us on a daily basis. The only way that we can truly receive this guidance is by listening. The only way we can truly listen is by having a way to connect with this guidance. For some this connection comes in the form of meditation, for others prayer. My way is through silence – deep silence in the early morning. Before my day begins I embark upon a quiet inner journey. I seek stillness and drop into the quietness. From this place, a sense of refreshment often arises. 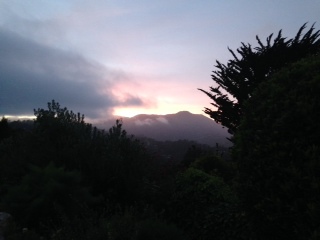 By the end of my quiet moments I often feel renewal and a sense of peace. At times I will leave my quiet sitting with an idea or thought that I believe never would have visited me had I not stayed still long enough to receive it. Join us in The Living Room of The Essential Feminine when Camille Maurine and I explore ways that you can enrich your inner life and reach greater levels of success and satisfaction. We will be there on August 25th at noon Pacific Time. Be sure to register at: https://www1.gotomeeting.com/register/987535361 . We are often overwhelmed by the world around us and wonder how we as individuals could make a difference. Our world isn’t the way we would like it to be; what can we do? I believe that the only true way to change the world around us is to change our inner world as it is reflected in what we attract from the outer world. As women we are fortunate to have powerful natural attributes and talents that can help us source success. We need to become aware of our attributes and give them the value they deserve in our lives so that they grow. Think about the inner resources that we naturally hold such as a deep understanding of the whole, a natural ability for care and compassion, and a deep innate wisdom to be able to see through the outer surface of things. If we find ways to integrate these into our lives in a way that enhances our personal power and our ability to pull from our own resources and depth our lives would become more successful (from the inside out). The way that we do this is by creating a deep and meaningful inner life. When we come to realize that quiet contemplation is equal and more important than active doing, success and happiness takes on a new meaning.